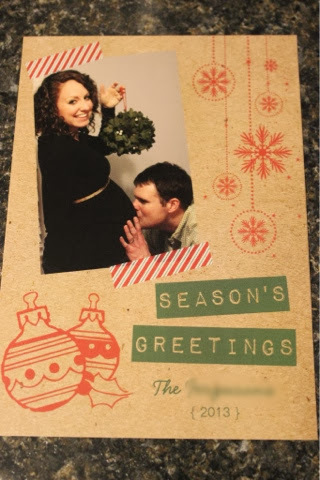 I'm linking up with Faith today to share our Christmas card with you!!! I couldn't get a good screen shot, so these are actually pictures of our card, haha. I'm so awful at technology! 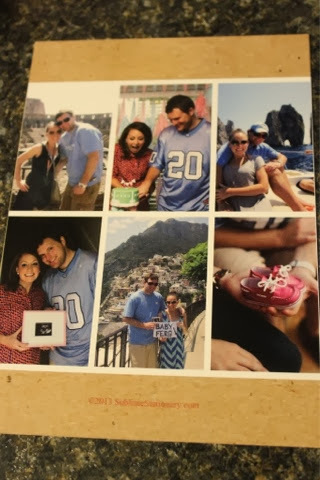 Don't worry, I'm already planning what Baby Ferg will be doing for next year's card! Adorable!! Isn't it so fun to think that your sweet baby girl will be on next year's card!?! Awww! This is too cute!! So sweet! What a cute card. Aww, love it! Looks great! !